With all but one of the last 16 matches completed in the Citigold Wealth Management Corporate Squash Challenge, Deloitte have gatecrashed the quarter-finals to join the last eight in contention for this coveted title. Citigold Wealth Management’s representing team, Citi A, had been the stars of the first round, but ran into an in-form Deloitte side who edged past them 2-1 to take up a quarter-final berth. There they will take on defending champions Aviva Investors, who found themselves in a bit of trouble at 1-1 with Barclays ‘B’, before ex-World no.150 Neil Cordell came to the rescue. Indeed, all of the seeds were made to work for their spots in the last eight, with BT, Lloyd’s of London and OC&C Strategy all being taken the distance. Two out of four teams participating from Citi remain in the running for the consolation Shield event, with an eye on an appearance in the final on the all-glass court on Tuesday March 12. 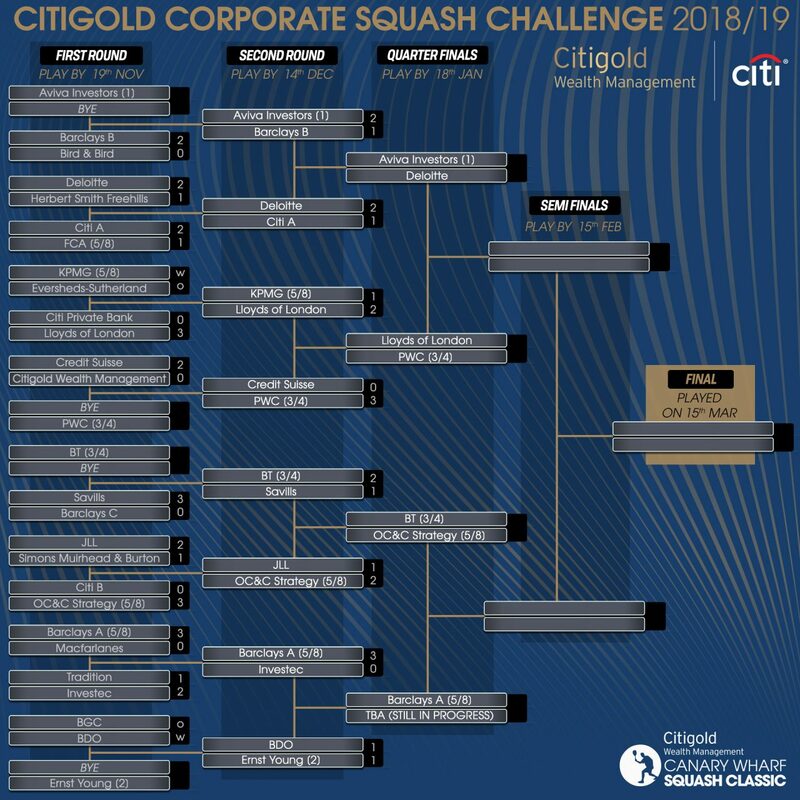 “It’s been fantastic to be part of this quality event this year,” said Citigold Wealth Management Relationship Manager, William Valencia, who is also a member of the Citi ‘A’ squash team. The Grand Final of the corporate event will take place on Friday March 15, 2019 at London’s spectacular East Wintergarden. It will be held on the same day as the final of the Citigold Wealth Management Canary Wharf Squash Classic, PSA World Tour Gold tournament, which will feature some of squash’s leading players, including World Champion Mohamed ElShorbagy. 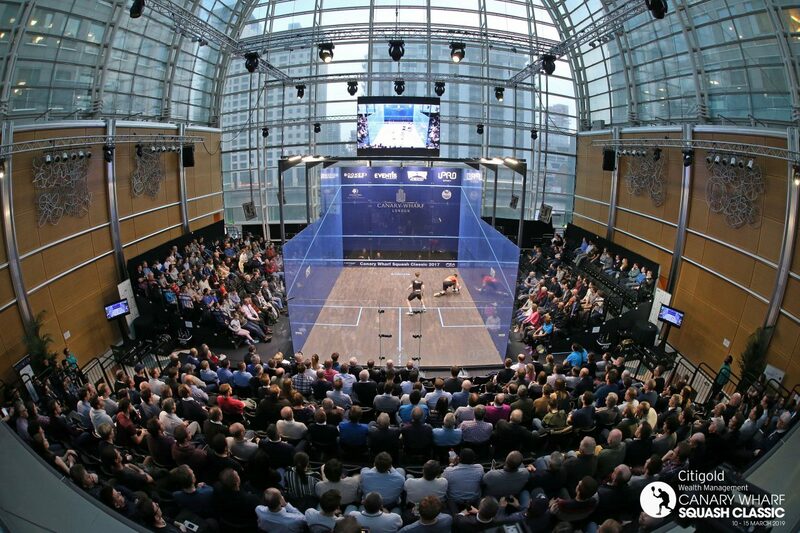 The 2019 Citigold Wealth Management Canary Wharf Squash Classic will take place at East Wintergarden from March 10-15, and will be shown live on SQUASHTV (Rest of World), Eurosport Player (Europe only). The semi-finals and final will be broadcast live on BT Sport.